Here's how to put your massive open online course experience to best advantage when documenting your skills. Eight short years ago, the world's first massive open online course (MOOC) was offered by the University of Prince Edward Island (Canada). The course, called "Connectivism and Connective Knowledge," attracted 25 paying students and another 2,200 online students from the general public who paid nothing to sit in. Course materials were made available through RSS feeds, and online students participated through various collaboration tools, blog posts and threaded discussions. Fast forward to today, and it seems like every college and university has a MOOC offering — or several — or wishes that they did. Driven by technology, and the potential of MOOCs, colleges have the ability to accept more students, at truly affordable rates, and offer personalized instruction in the process. The result could be a revolution, of sorts, for education. That's certainly the hope of Richard DeMillo, founder and director of Georgia Tech's Center for 21st Century Universities. DeMillo envisions the broader use of MOOCs to enroll more full-time students than was previously possible – for entire degree programs. Georgia Tech is doing just that. The college first began offering MOOCs in 2011 and has since increased its investment in the program. Last year the school put its most difficult degree program — the master's degree in information technology — online, at a cost to the student of $6,700. In order to be accepted into the MOOC program, a student had to meet the full criteria of being a Georgia Tech student. And the institution worked hard to make sure that online students would receive an education that is on par with their campus counterparts. So, once students have gone through such a high-quality program, how do they use their MOOC experience to best advantage? Sham Mustafa, CEO and founder of Correlation One, has some thoughts. His company provides matchmaking services, focused on connecting employers with highly skilled data scientists. Those data scientists are heavily represented in the first waves of MOOC students. "Every traditional résumé includes two main sections: Employment and Education. Instead of listing your MOOCs under Education, add a third category (at the bottom) such as 'Professional Development,'" Mustafa advised. "List the MOOCs here along with other professional development courses you have completed. This section will then serve as an added bonus, demonstrating to potential employers your drive to remain current in your industry and your willingness to continue learning as a professional." "Check to see that your résumé doesn't include introductory MOOCs when positioning yourself as a senior candidate," Mustafa stressed. "Listing MOOCs that are not appropriate or don't apply to your current career goals will only hurt your résumé. It's also important that you are not overstating experience levels based on a small handful of MOOCs. Ensure that the information you include is relevant to the position you are applying for, or else risk being passed up by the next person in line." "Listing a MOOC is only an advantage if you've actually completed the course," Mustafa noted. "Only about 10 percent of students complete MOOCs, so your completed courses show your potential employer that you follow through with your commitments. You should also be prepared to talk about what you learned from the MOOC — in an interview — and how it has helped you improve." "While MOOCs can be intensive and highly valuable, they are now fairly easy to access, so it is hard for employers to know the level of complexity of the course without knowing the institution and instructor behind them," Mustafa explained. "It's no longer enough to simply list the names of the MOOCs; you must also demonstrate their legitimacy by including their information." "Nowadays, experience is more important than credentials," Mustafa said. "It's important to include a list of real-world ways that what you learned in your MOOCs will help you in your profession. One way to demonstrate this is by including a brief list of these job-related skills learned under each course, which will show how what you're learning will set you apart from your competition." 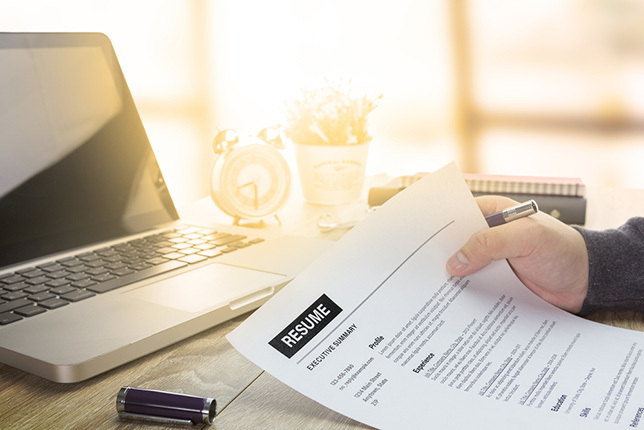 "Employers do not want to get attachments of the badges you've earned from multiple MOOCs, but do include a link to your LinkedIn (where they should all be) or a note at the bottom of your résumé stating that they are available upon request," Mustafa said. "MOOCs — especially those with certifications — are great for helping pump up your skill base," Mustafa confirmed. "If you had to complete projects or participate in competitions as part of MOOC coursework, then include examples that demonstrate how you applied the skills you learned. Even better, allow easy access to your code via Github, so that potential employers can see your actual work."